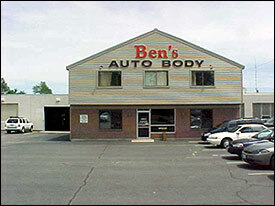 Ben’s Auto Body, Inc. does not condone nor participate in direct repair programs and does not recommend any insurance company that does. We respect the rights of all customers to choose the collision repair facility of their choice. It is illegal for any insurance company to force a customer to use a certain body shop. By law, you also have the right to obtain just one estimate from the shop of your choice. You cannot be forced to get more than one estimate. It is your decision where you wish to take your vehicle, and it is unlawful for any body shop or insurance company to try & decide that for you. IT’S YOUR CAR, IT’S YOUR CHOICE.